Only just found out about this lady’s imminent return and it’s sounding too dope to ignore. 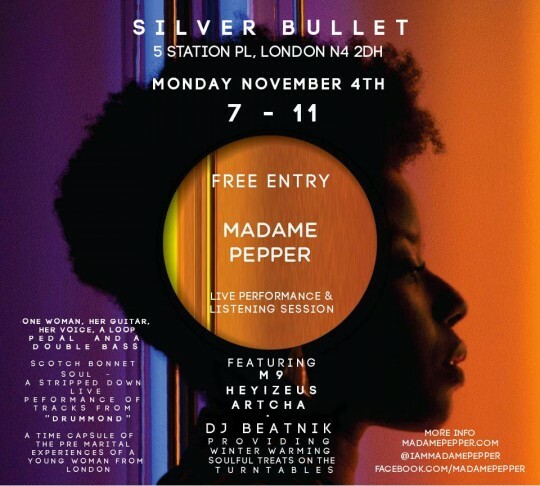 Singer Songwriter Madame Pepper has been round for sometime now and graced our stage on more then one occasion back in the day. She has a new album on the way where she has teamed up with longtime collaborator Radimo (Dope woodwind instrumentalist and producer) to bring you a collection of soulful sounds over HipHop beats. The combo has worked well for many in the past and if this video is anything to judge by it works very well for Madame Pepper. The tracks featured in the video below are sounding very very good! Personally i cannot wait to get my hands on it her vocals are sounding superb and my head is bopping all the way through the video! You can pre-order the album here or head down to her launch next Monday all the details here. Earlier in the year the superb poet Indigo Williams was invited to the Ted X Talk in her hometown Brixton. She used the platform to deliver two of her finest poems that both deal with various stereotypes and how they are used in every day life. As always with Indigo the delivery is flawless and touches all the nerves in the audience that it should do. I’m sure many walked away from the room with views on some of those stereotypes that they may use themselves slightly altered (i know i have). Powerful stuff. Listen enjoy and find out more about this woman’s work here. 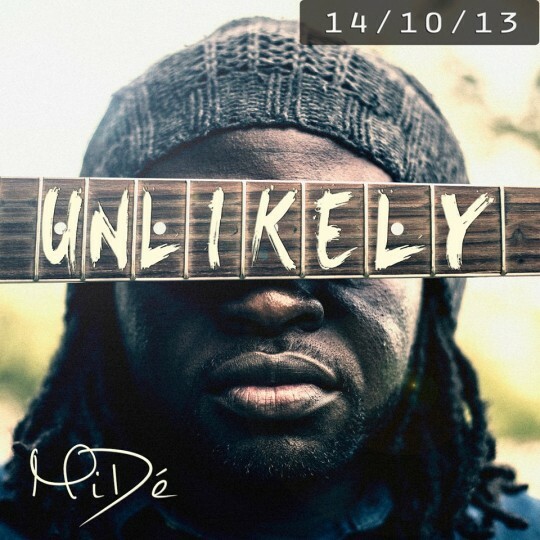 New video from emerging artist Mide. Video does the job but its more the tune that i’m feeling. Obviously the Horn Section is gonna grab my attention but the tune just has a nice feel running through it. Definitely has a springtime feel to it however the message is suitable any time of the year! Enjoy and purchase here. This is just stunning! 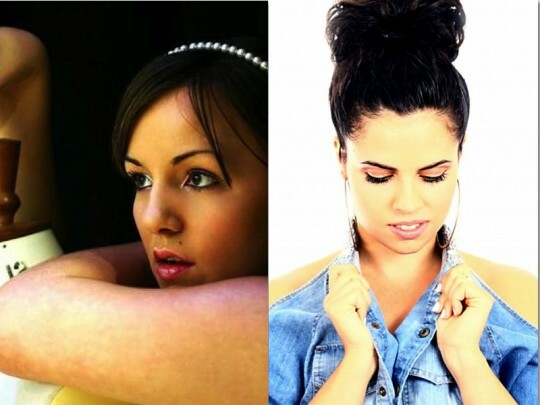 Two of London’s finest vocalists Ella Marie & Olivia Leisk delivering one of MJ/Floetry’s finest moments in simply stunning style. This is SUPERB Listen and Enjoy. Not much more i can say but Thankyou ladies! Starting the week with a slice of good quality folk come pop from the brilliant Charlene Soraia. 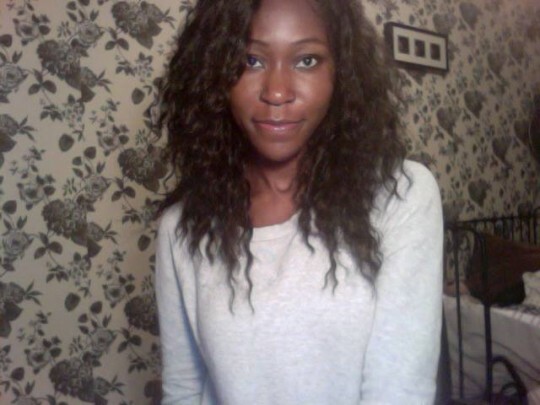 Best know for her vocals over the twinings advert Charlene has been a successful singer for sometime now and todays drop is the first new music we have been treated to in sometime. There are some lovely touches with her vocals throughout the song and it just has a noice feel to it (especially loving the pre chorus). Hoping there is more to come!!! 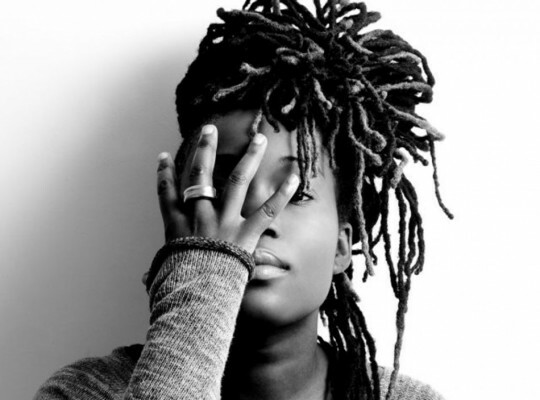 You can catch her live tonight at The Jazz Cafe or tomorrow in Brighton more details here. 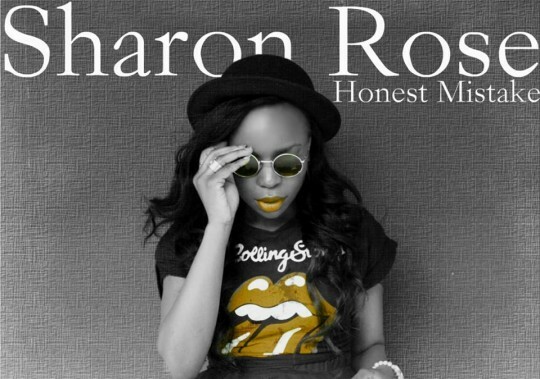 Lovely feelgood tune from Sharon Rose talking about those honest mistakes that we all make in life and how we move on! Her voice sounds great, floating over the tracks finger snapping groove with its catchy chorus. What are really love is the video though simple concept that is pulled off brilliantly. The single is available now get your hands on it here. Been meaning to put this up for a little while now but better late then never. Louise Golbey can’t say enough how much respect and admiration i have for this lady’s work ethic. 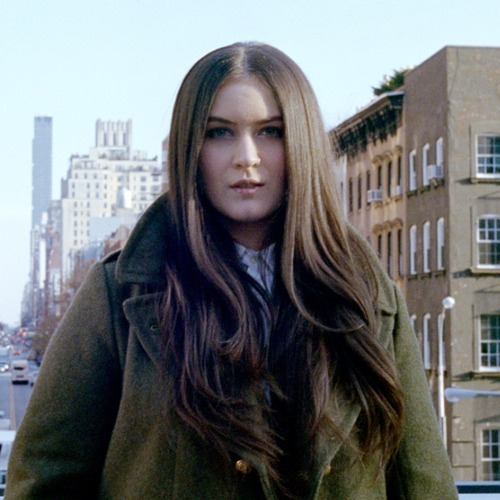 She doesn’t stop and the quality is always on point and this new track is no exception. 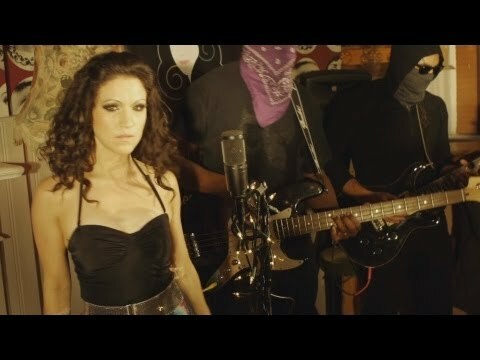 Teaming up with the Invisible Soul Assassins this tune has a gorgeous salsa brazilian feel to it led by the flute and bass lines driving the song. Louise sounds great and is looking good to in the video with more choreography (now the standard with a Golbey video). Its a shame the track wasn’t out there over the summer as it is perfect for the sunshine but a great tune none the less! Get your hands on it here. You can catch Louise Golbey next month supporting the legendary Stylistics!!! More details here. Footage from Tawiah’s performance at Wired a couple of weeks back. Here she performs her Candy Rain cover and talks a little about gigging with her loop pedal and not the band. Many people were raving about it after the show and this video shows as always she provided the crowd with something special. Theres a fantastic couple of moments when the crowd become a choir with full on harmonies too allowing T to ad lib over the top. Undeniable quality! Love it!!! Big up Wired providing the platform and great visuals from another great night, look out for their 5th birthday celebrations coming next month bound to be another great night! Black History is the second visual feature from Dora Martin before the release of their debut EP Coalation. The combination of Jermaine Reily and longtime Remedy favourite Cherri Voncelle is a dream. I love the quality the two bring to the table and the vocals compliment each other well. Not overly keen about the beat however it keeps the track fresh and allows it not to just be labelled as generic R&B. 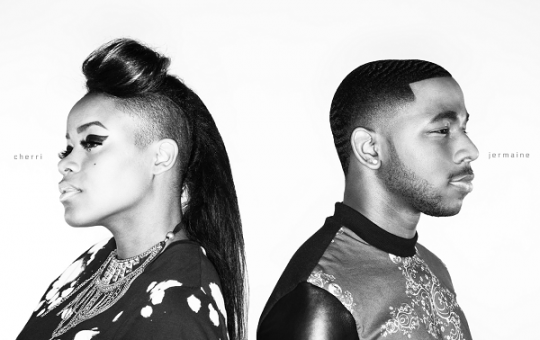 I’m loving everything thats coming out of this camp and am very excited about their forthcoming EP its been too long since we have had an innovative quality British R&B act. Lets hope this is the start of something special. Another quality feature from the Soul Features team. 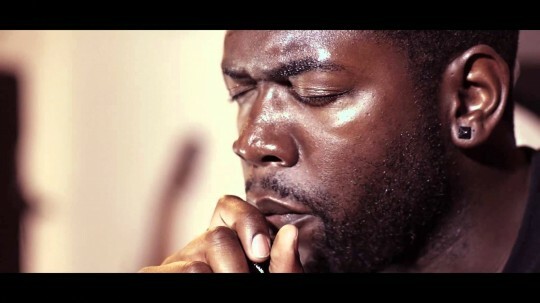 This time they took their cameras down to Jake Isaac’s EP launch at the end of the last month. You get a glimpse and a taste of Jake’s fantastic stage show and presence whilst they also sit him down and get his thoughts on the EP and what he hopes people take from it. Props to Soul Features for once again showcasing quality UK artists and make sure you keep your eye on this guy i have feeling the next 12 months will be massive for Jake. The Ep is released October 27th but you can pre-order here.